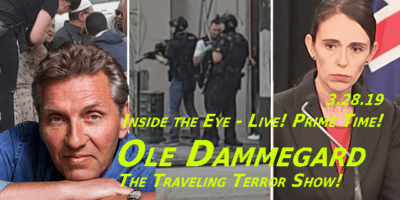 Chris Dorsey - Virginia Militia | Inside the Eye - Live! 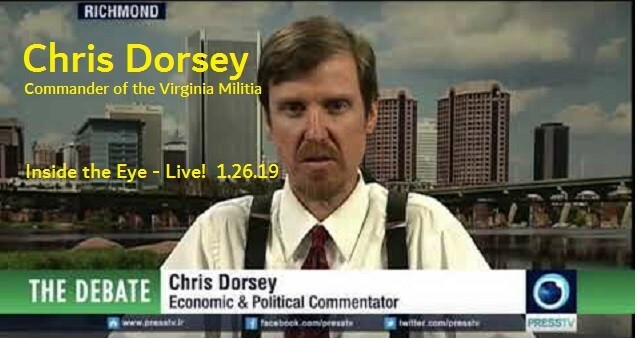 Chris Dorsey, the Commander of the Virginia Militia, appeared on Inside the Eye – Live! on Saturday, January 26, 2019. Chris has appeared numerous times on Iran’s Press TV, as well as other notable news outlets. He played a feature role in Press TV’s series “The International Banking Cartel”. 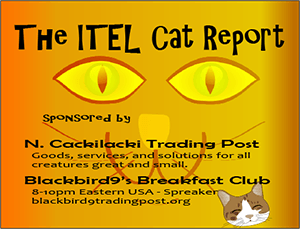 Closer to home, Chris was a brief host at Renegade Broadcasting Network and hosts his own show, “The Militia Intelligence Report”, which can be heard on Blogtalk Radio or via Chris’s live Facebook feed. Chris Dorsey is an American Independent Journalist, Human and Civil Rights Activist, Press Correspondent, Geo-Political Analyst, Constitutional and Legal Scholar, Author, Radio Host and the Commander of the Virginia Militia. Dorsey regularly appears on TV, radio and in the press. His work has been viewed by millions of people worldwide and he has been internationally recognized for his most notable work, the Press TV series called the International Banking Cartel, which verifies the entire global structure as fraudulent and unlawful. Chris defends human and civil rights of people and promotes peace by investigating, exposing and confronting the crimes behind the governmental institutions that inflict wide spread suffering in the world. This interview was congenial and included some listener calls. 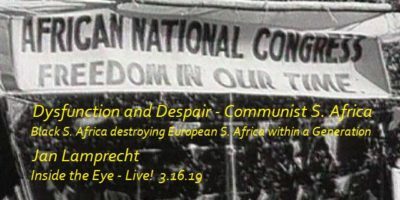 From an Inside the Eye – Live! perspective, we are are not in full agreement with Chris’s positions, including those regarding veterans and “millionaires” and “billionaires”. Our Western system encouraged hard work and the rewards that come through innovation and, is often the case, sacrifice to make the world better. I know many “millionaires”who are hard working and self sacrificing individuals who have created much value and supported so many lives. It is not realistic that one should at one side create hundreds of jobs, in the process, invest wisely from one’s efforts, reach a status of “millionaire”, and then be seen as some criminal or enemy of the American people. Chris’s call for the execution of all “millionaires and billionaires” is a strategic non-starter, as is the calling of all military personnel (our brothers/sisters/sons/daughters/parents/grand parents) traitors who should be executed also is a strategic non-starter. However, some of his views regarding the ongoing war by various government agencies against the people of the United States is valid and without question. The FCC’s failure to reign in the technocratic tyranny of Internet information providers as Facebook, Google, and Twitter, as well as the FCC’s failure to put an end of fake news reporting, represents a first line assault on the American people (true for other nations also) in an effort to capture the “hearts and minds” of the people. The IRS and FBI are both embedded institutions with dubious claims of a right to even exist, let alone act largely as extortion agents for a federal banking systems whose initial 100 year charter expired in 2013. The FBI can be seen to have gone rogue decades ago, but their failure as an internal counter-intelligence agency regarding 9-11 shows that the agency is essentially useless when things really matter, like a massive attack on the United States from internal forces on 9-11. Rather than deal with real issues, like 9-11, the FBI would rather run a made for TV raid on a 66 year old sleeping man, Roger Stone, as if somehow astute Americans are not already attuned to the idiocy of such a public display of obsessive and needless overt show of “force”. The FDA and the Center for Disease Control appear to work more to aid pharmaceutical ensure that they can put the “harm” into “p-harm-acy”. Indeed, across the spectrum, from DHS to local and national narcotics efforts, the results of government efforts are tantamount to a war on the American people. Add to that the willful neglect to secure American borders, thus ensuring a steady criminal influx of violent, invading forces into the United States, and one cannot disagree that with Chris that government is waging war on the American people. This interview will be found to have mixed reception at some points, as emails and comments to me have already intimated, but indeed does add another layer of thought to efforts and need to “drain the swamp”.